Pioneers in the industry, we offer automatic side sealer & shrink tunnel, 2in1 shrink packing machine, pe flim shrink packaging machine, thermal shrink packing machinebsb400, thermal shrink tunnel machine d4520 and jet shrink tunnel(air circulation) from India. 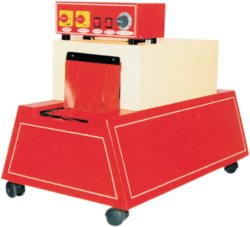 Our vast industry experience of manufacturing, supplying, exporting, and distributing large gamut of L Sealers has enabled us to offer Semi Automatic L Sealer that is designed for flawless sealing operations of different items including bottles, cosmetics, sweets, confectionary and many more. 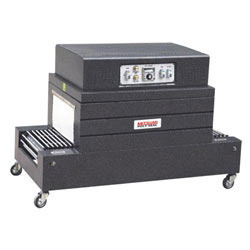 It incorporates heavy duty electronic timer for precise operation and can be availed at leading industry rates. 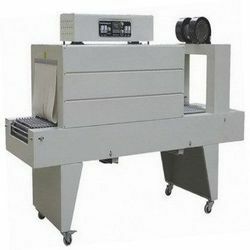 Our wide range crosses more than 500 products, some of which include vacuum packing machines, shrink packing machines, box strapping machines, automatic pouch packing machines, semi automatic packing machines, portable bag closer machines, industrial powder filling machines, decorative stitch machines, multi needle stitching machines, stitching machines and industrial threads. Collective packing can save manpower and packing material expenses so as to reduce the costs. 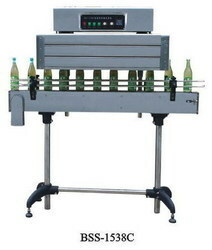 No need to use cardboard as pallet if adopted this model machine. Special transmission structure avoids the broken of bottles. 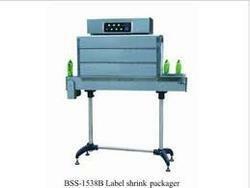 Single-row or multi-row collective packing of canned food, cosmetic, bottles commodity, plastic bottle, transfusion bottle and beverage, etc..
We are presenting an excellent quality assortment of Label Shrink Packager. 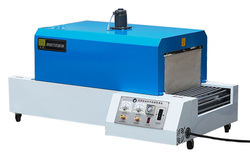 We are offering a high quality range of Automatic L Bar Sealer With Shrink Tunnel, that are designed using servo drive technology and the products can run on all shrink films. Depending on the requirements of the clients, the range can be offered with polyethylene seal systems. Our range finds huge demand in the competitive markets for its various features such as accuracy, resistance to corrosion and optimum utility. 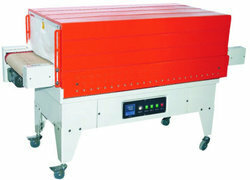 Conveyor Speed 0 – 10 m/min. Tunnel Size 18" x 10"
Machine size 44" x 28" x 44"
Chamber size 26" x 18" x 10"
Tunnel Size 12" x 8"
Machine size 45" x 18" x 30"
The machine has entire automatical system, it equiped with sensors can reach high speed automatical working. 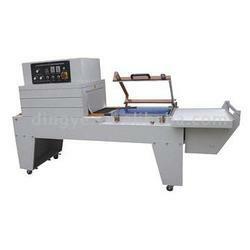 Horizontal and vertical sealing knife adopt whole connecting without gap, the film won't break. Sealing frame adopts high quality alloy steel, the sealing quality is stable, frame difficult to be damaged. 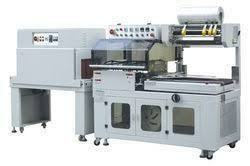 Packaging systems typically utilize two distinct machines to perform seal and shrink functions. 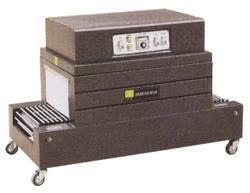 The first is a shrink wrap sealer, which is employed to wrap and seal plastic film about an article. 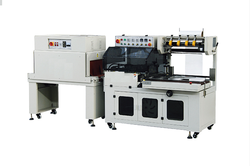 These machines conventionally utilize a heated wire to seal film layers to one another and to melt through the layers in order to separate one article from another as the articles pass through the machine. 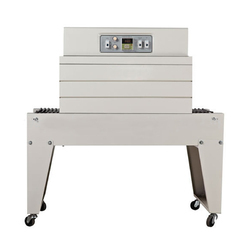 When the sealer jaw is lowered, current is supplied to the wire to heat the wire to a high temperature in order to affect the seal and cutting operation. The appearance of the resulting seal is fine and neat as the film shrinks tightly around the package, especially where polypropylene films are involved. Such hot wires are typically used to form both end seals and side seals. Power Supply: 220-240V/50Hz.Heater Power: 6.5KW.Conveyor Speed: 0-10m/min.Tunnel Size: 830Ã—400Ã—200mm.Conveyor Loading: 5kg Max.Machine Size: 1200Ã—640Ã—1240mm. Shrink Film: PE, POF, PVC, PP. Compact construction, High efficiency.The use of intra-red Quartz heater tube results in lower the power consumption.Great air-flow provides escellent heat distribution for an even shrink.Temperature meter control temperature. 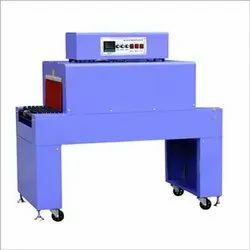 Automatic Temperature Control: The system features automatic temperature variation for convenient operation.Variable speed live-roller(mesh) conveyor is easily adjusted. 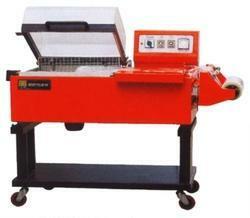 With the support of our team members, we bring forth BS-A400 Thermal Shrink Packing Machine. These are suitable for shrink films such as POV, PVC, PP and POF. There are shrinking tubes on the top, bottom and sides of the shrinking room. 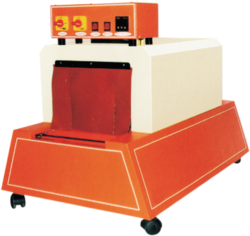 The temperature of the shrink room and the speed of the conveyor are adjustable and the size of the machine can be customized.